As we get closer to President’s Day and yet another cycle of Presidential elections are rising to the forefront, why not encourage your students to mix technology and history together, to learn more about some of our earlier leaders? A scavenger hunt, done in pairs, with students using iPads, iPhones, or Tablets to compete to gather all of the information as quickly as possible. However, students will have to search for more than “just the facts” in order to complete these trivia questions and will really have to do some reading and research online in order to find the answers to each question set. Each webquest includes a downloadable power points with directions and questions and answers. The questions begin easily enough, with information about birth place, party, and terms of office, before delving deeper into the details behind each Presidency. What did President Lincoln suffer from? James Buchanan was America’s only what? What happened to Franklin Pierce’s children? What did Fillmore do to the previous Cabinet? While History teachers may know these answers off the top of their heads, students will really have to research and cite their source on the worksheet in order to get credit for their answers. A perfect project for history students and also to reinforce internet research skills on all levels, this project will be a success in all classes! To what party did Fillmore belong? 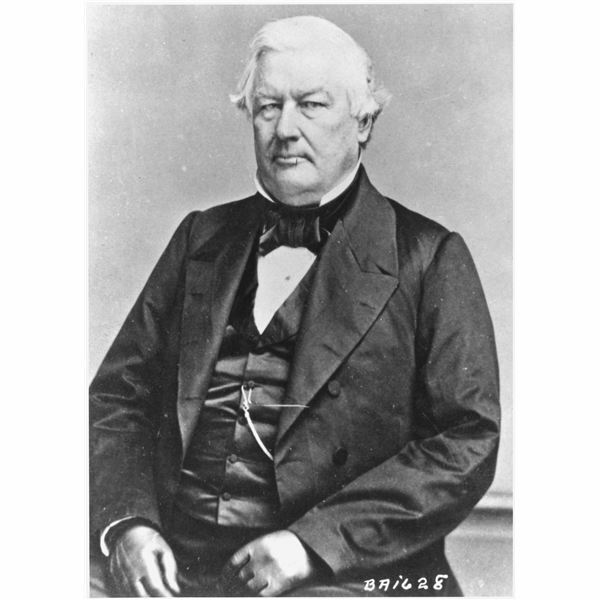 How long was Fillmore’s term? What did Fillmore do toTaylor’s Cabinet? What did Fillmore sign into law? Who did Fillmore blame for making slavery an issue? Was Fillmore re-nominated by his Party? Did Fillmore knowTaylor before the election? Why did Fillmore support slavery? This series of webquests includes our nation’s 13th, 145th, 15th and 16th presidents. These make great lessons for students in grades 7 to 9.